NEWS Boardwalk Trees: Stay or Go? Boardwalk Trees: Stay or Go? 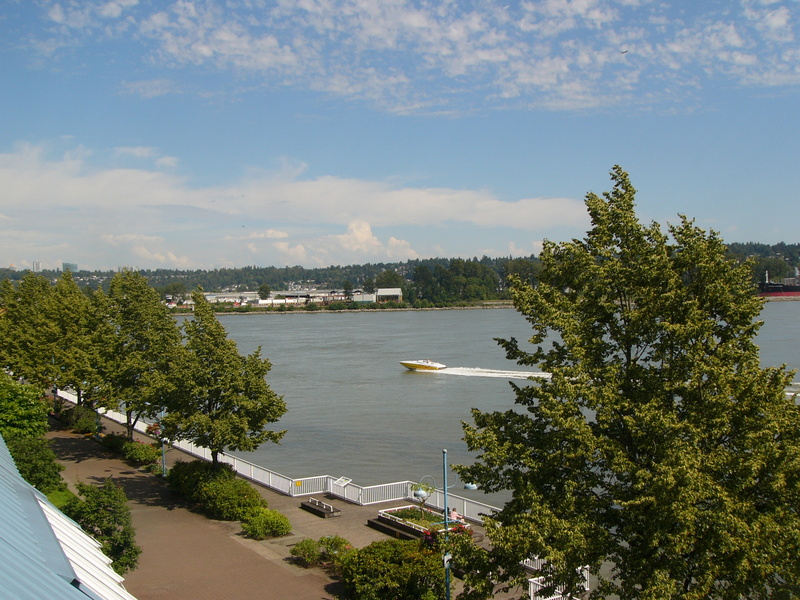 On October 3 past president of the BC Federation of Labour Jim Sinclair made a presentation to New West City Council, on behalf of some residents of the Quayside building Dockside, to have the trees along the Promenade and in front of Dockside removed. Mr. Sinclair, who recently moved into the area and has purchased a condo in this complex, has joined with other residents of the building to petition council to have them removed – again. 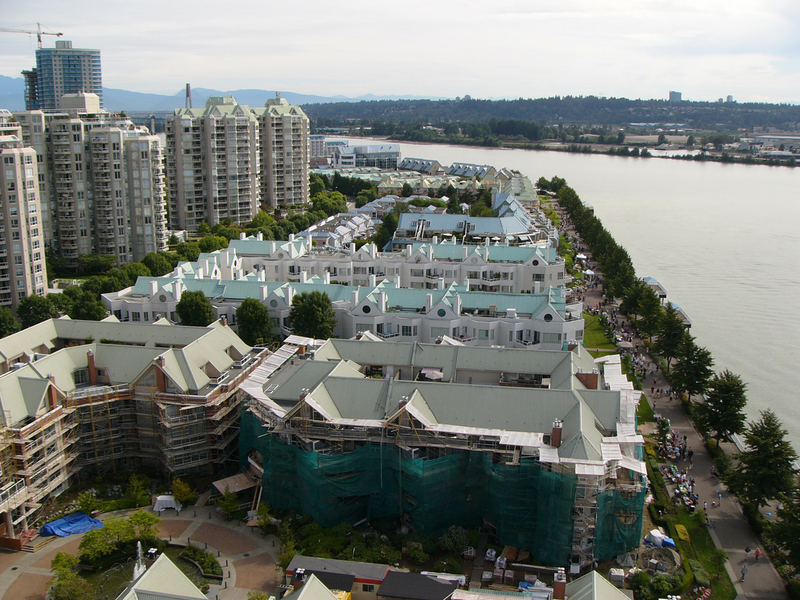 The main objection to the trees appears to be ‘their obstruction of the Fraser River view’. For some home buyers being close to shops, parks or transit are important factors to their home purchase. For others, a view of the working waters of the Fraser outside their space is their motivation to purchase. What many do not realize that these residents along the waterfront not only paid a premium price for a place with a view, but pay more annually in property tax because of the view alone! These trees have a history! Originally, trees lined both sides of the promenade [see photo]. More recently, the trees in question were planted on the building side of the promenade and were done so to: 1, replace the aged Linden trees currently lining gardens between the boardwalk and promenade 2, to replace the original trees and 3, to increase the number of trees in the City. After extensive consultation in the Quay area, the city decided to ‘replant’ trees in their original locations. 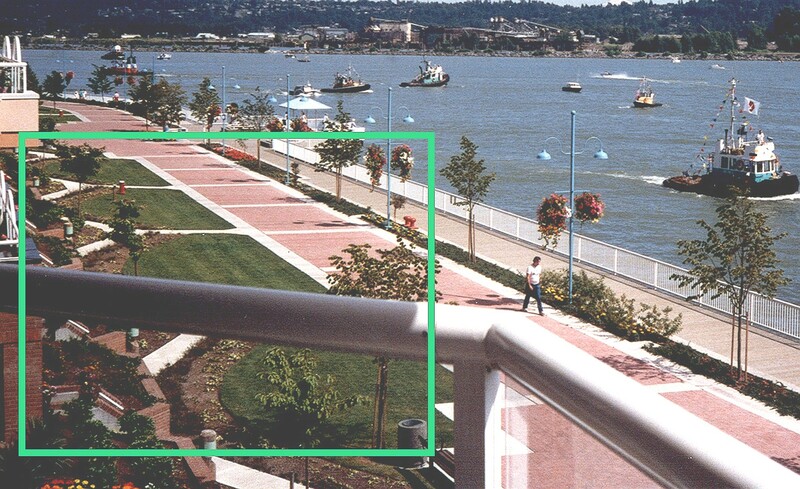 Photos show that nearly thirty years ago trees did line the promenade as they do now. Approximately in 2008, a group from Dockside approached then Mayor Wayne Wright to have them removed. At the time Wright and the council passed a motion for their removal. However, a number of Dockside residents wrote Letters of Support to keep the trees to the QCB. The QCB intervened and presented council with the letters in opposition to the tree removal. In considering the initial consultation, the Letters of Support and after having done confidential and independent review with Dockside residents – the city reversed its decision and the trees were left to grow…to where they are today. There is no doubt that some of the newer trees have grown much faster and larger than were originally expected or promised. In addition to size, location of the trees has also led to residents wanting them gone. While the majority of trees were planted between units, many of the offending trees were planted directly in front of windows and balconies. So what is the solution? Allowing Dockside to take their trees down due to the ‘view’ will undoubtedly lead to many others requesting the removal of trees in front of their place. Perhaps a solution lies in replacing the larger trees with more moderate narrow trees and relocating all those in front of a balcony or window. Trees currently ‘in front’ of units can be replanted ’between’ units, This will limit their impact while fulfilling the mandate of more trees in the city. Whatever the solution it is likely to involve further consultation as the fate of these few trees in front of Dockside will surely determine the fate of all the others.